Lifespan of average Japanese people are expanding tremendously. Most senior citizens are at 85–90 years old but are still kicking and working with 40–50 years old children. Green tea exists since thousands of years ago, and many of us consume and enjoy the taste of tea more than coffee. 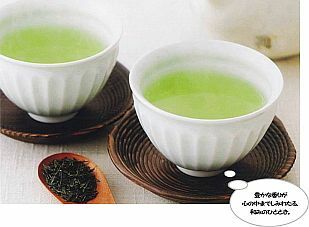 Green tea became even more popular after WWII because our living condition and business economy flourished entire Japan. 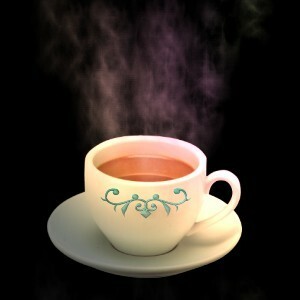 Many of us became to enjoy sipping tea in the morning to relax before work. According to history, about 4,730 years ago, a Chinese Emperor, Shen Nung asked his servant boiled water, and poured it into a cup. When the Emperor placed a certain dried leaves brewed into the cup of hot water, the beverage produced pleasant aroma and refreshing taste. The Emperor soon introduced this to all his people as tea. In Japan, tea was introduced from China sometime in the early 9th century but lost its popularity in the next 300 years. Then in the late 12th century, a Japanese monk, one of the founders of Zen Buddhism, reintroduced tea to Japan from China. This became a part of Buddhism ceremony and later, tea ceremony became popular among high society in Japan. Since then, tea ceremony became even an art among high societies and it continued to travel throughout the world. Tea became more and more popular in the office, factory and during break time. Even coffee shop popularized the offering of tea. In fact, there is no house without green tea, even they forget to stock coffee in their houses in Japan. In fact, my parents and grandparents lived more than 98 years old and were healthy enough until the time of their ends. 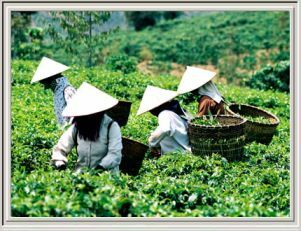 Today, tea is grown on tea estates and nearly 70% of the tea is grown in Sri Lanka, India, Indonesia, Kenya, Argentina, China, and Japan. There are three popular types of tea extracted from the same tea tree, namely green, black, and oolong tea. Taste of these three types of tea depends on the oxidation process of the tea leaves. It is amazing. We drink thinking that this is the same tea that Emperor Shen Nung of China 4,730 years ago drank the day he discovered it. My research indicated that people in Okinawa, Japan, eat plenty of seaweeds and sip seaweeds with hot water (just like that of tea) and their healthy lifespan go about 80-103 years old. Many people in Kantong, China and many old people in Japan enjoy drinking more green tea after WWII. At that time, they were able to maintain healthy body even at above the age of 80 years. I myself drink a lot of tea everyday. I never drink soft drinks at all. Sometimes, during hot summer season, I drink just a single 180 ml of canned beer, but I mostly prefer iced tea during summer. In Japanese green tea, there are four primary polyphenols, collectively referred to as catechins. Powerful antioxidants and catechins in green tea are known to fight against viruses. It has numerous beneficial health effects and also delays the aging process. Catechins also destroy free radicals in the body and effective in preventing cancer. Free radicals are highly reactive molecules and fragments of molecules that can damage the body at the cellular level leaving the body susceptible to cancer, heart disease, and many other degenerative diseases. Epigallocatechin gallate (EGCG) is a potent antioxidant which is found in green tea. It is at least 100 times more effective than vitamin C and 25 times more effective than vitamin E at protecting cells and DNA from damage believed to be linked to cancer, heart disease and other serious illnesses. This antioxidant has twice the benefits of resveratrol, found in red wine. But do not think that green tea can prevent all kinds of illnesses. Green tea can help you keep your body young and slow aging. Green tea is long known that it reduces high blood pressure. Green tea antioxidants have been shown to lower cholesterol. Green tea polyphenols and polysaccharides are effective in lowering blood sugar. Green tea also boosts the immune system because of its high concentrations of polyphenols and flavenoids. Green tea can increase thermogenesis (the body's rate of burning calories) and it enhances fat oxidation, meaning it has weight loss benefits—it burns fat naturally and increases metabolism. Green tea probably works with other chemicals to intensify levels of fat oxidation and thermogenesis, where heat is created in the body by burning fuels such as fat. Sipping Japanese green tea regularly will increase your metabolism and help burn fat safely and naturally. Green tea causes carbohydrates to be released slowly, preventing sharp increases in blood-insulin levels. This promotes the burning of fat. Weight is gained as excess sugars and fats are stored in the body as fat cells. Green tea catechins can help prevent obesity by inhibiting the movement of glucose in fat cells. There is now good evidence that green tea catechins are related to reductions in body fat. After drinking tea, you usually throw away the tea bag or the tea leaves. But it is not a waste yet. You can use it for other purposes. See this article "Eliminate Unpleasant Smell Using Oolong or Green Tea". You are going to consume the leaves, unlike the way you boil hot water and extract aroma and other substances in the tea leaves. To consume the leaves, you will need to grind it. Therefore, MATCHA (grinded tea leaves) contains, by volume, higher concentrations of catechins and vitamins. When you brew powdered tea leaves, pour hot water in teacup just the same way you make instant coffee. That is as easy as anything and the tea contains highest aroma and other medicinal compounds in it. Oh, yes, fresh green tea leaves can be cooked and eat as vegetables. Did you know that there's only one kind of tea in the world? 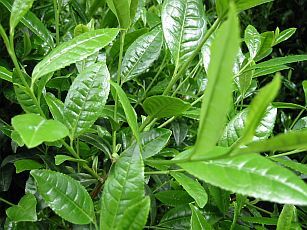 No matter where it comes from, whether it's green tea or black tea is made of the leaves of the same tea tree? There are hundreds of tea-like products all over the world, such as the Almond tea, Mango tea, and Rose flower tea. These are not teas but botanical herbs and people can claim that these are healthy teas with medicinal properties. They are not tea but just health-related products. Most people are surprised to hear this, and suddenly realize that although they may drink a lot of tea, they never had knowledge where it came from or how it was made. We are going to prepare some tea products and will be available for viewing soon in this website. Here's green tea shown at the left and black tea at the right. The main difference between the two is the process of oxidation and fermentation of the tea leaves. However, green tea is still superior for various medicinal effects.